Parents in Manchester, New Hampshire react to the report detailing time off used by the city's teachers. 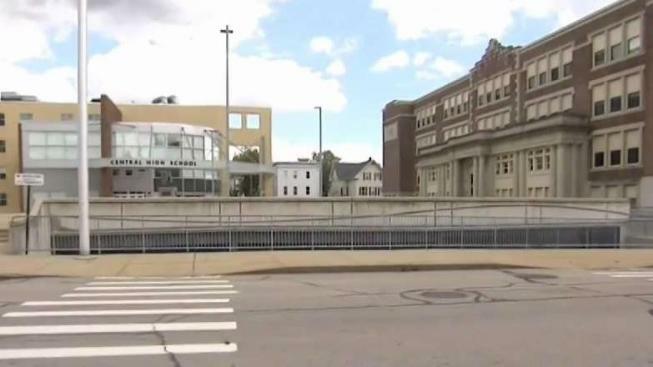 Parents in Manchester, New Hampshire have some questions after learning that more than half the teachers in the district are absent from work more than two weeks a year. But the head of the teacher’s union in the city says the numbers aren’t at all out of the ordinary. “I was not entirely surprised,” said the president of the Manchester Education Association, Sue Hannan. She is now defending her fellow educators after a US Department of Education report found that in 2015, out of the 1,004 city teachers, more than 550 of them were absent from their classrooms at least 10 days that year. “It’s not people taking random days off and saying, ‘I don’t feel like being there,’ we all want to be with our students,” Hannan said. She says teachers are entitled to these days under their current contract. They have 15 sick days a year, two personal days, and other days off available for outstanding circumstances. Some Manchester parents worry about the impact teacher absenteeism will have on their child. “They’re not getting the instruction time that they’re guaranteed,” said Stephanie Mason, who has a middle schooler at Parkside. “The substitute comes in doesn’t know the school plan, she’s off topic because they’re only there for a day or two,” said another mom, Sarai Spaulding. Others say teachers deserve whatever time off they need. “They have a hard job, you know, they take care of our kids every day,” said Shannon St. Onge who also has a child at Parkside. The report doesn’t break down whether days off were sick days, personal days, or something else. That’s why Hannan says the numbers don’t telling the whole story. The Manchester Superintendent wasn’t available for comment Wednesday.